With President Trump still demanding a border wall, the government could shut down again within weeks. It doesn’t have to be this way. A multi-year budget and automatic stopgaps would curb dysfunction. And putting congressional and White House pay at risk would provide insurance. 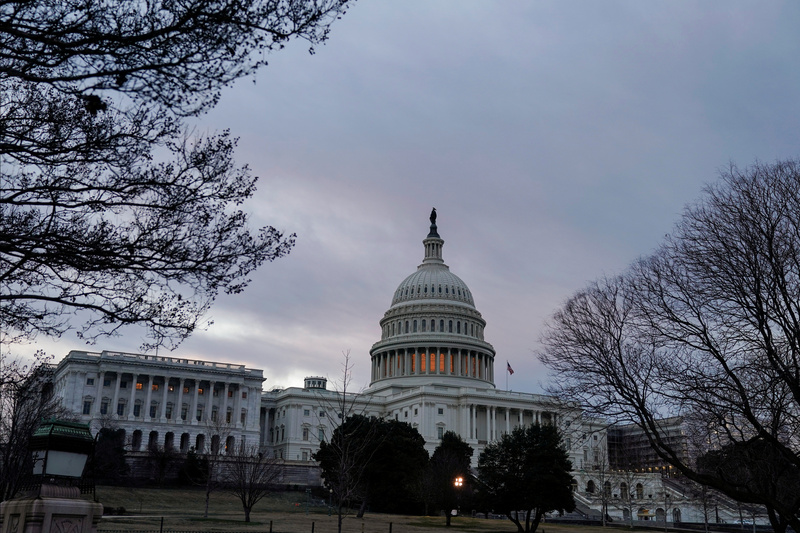 The U.S. Capitol is shown after the U.S. government reopened with about 800,000 federal workers returning after a 35-day shutdown in Washington, U.S., January 28, 2019. The U.S. economy is expected to lose $3 billion in 2019 from the partial federal government shutdown that lasted 35 days, according to a report released on Jan. 28 by the Congressional Budget Office. That would shave 0.02 percent off projected annual GDP. About 800,000 federal employees were on furlough or worked without pay during the shutdown. The impasse between President Donald Trump and Congress ended on Jan. 25, when they agreed to a three-week government funding bill that didn’t include his request for $5.7 billion to build a wall along the southern border. That bill expires on Feb. 15.